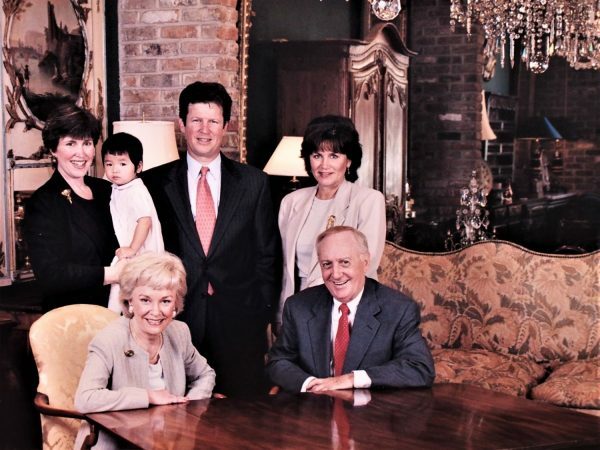 Royal Antiques, located at 309 Royal Street, in the historic French Quarter of New Orleans, is a fifth generation family business. We carry Period pieces from England and France, both formal and provincial. We also carry exceptional Mid Century Modern and unique Chinese Antiques. Shipments arrive several times a year. We specialize in how to integrate our selections with contemporary design. In our store, you will see a wide assortment of antique chandeliers and lighting, as well as fine antique and estate jewelry. The business was founded in 1899 by Hermina Keil, who came to New Orleans from Alsace- Lorraine, Germany. In her obituary, she was said to be “a veteran antique dealer who counted among her customers, Theodore Roosevelt and Woodrow Wilson.” She became an authority on antiques, particularly rare furniture, silver and antique jewelry. Her son, Morris Keil, expanded the business, and today his two daughters, grandchildren and great grandchildren all contribute to its future!